Self deprecating, awkward, obtuse, David Letterman. I grew up with this man. His short-lived show on NBC mornings following the Today Show was something I looked forward to more than the Price is Right on days off from school. My sense of humor was formed by this man. He combined the legacy of Johnny Carson and the lunacy of Looney Tunes and mixed it with a smidge of humanity. Dave changed the game. May 20, 2015 was a sad day for me. My man Letterman was heading off into the sunset. After tonight the television world will be much less funny. He has influenced me in more ways than I really considered until he announced his retirement. There have been many tributes to David Letterman in the past few weeks. Most of them have focused on his comedy. The man is a natural in that department. I owe a lot of my sense of humor to this legendary performer. Thanks, Dave. That said, Letterman did more for music on television than many realize. Prior to Dave, musical guests were primarily the hit makers of the day. Letterman brought in the fringe artists. Dave gave R.E.M. their network debut. Dave convinced legends like Bruce Springsteen and Bob Dylan to appear on television despite their reluctance to do so. He had Rage Against the Machine perform on the roof of the Ed Sullivan Theater. Letterman gave artists such as Tom Waits and Warren Zevon a stage — he was a fan and a champion of Zevon and his work. A friend of mine, Lisa, gave me a true fan’s perspective of the relationship between Letterman and Zevon. Lisa said of Zevon, “For anyone other than Letterman, I don’t know that he’d have set foot on the TV stage. Dave had a genuine respect for the musical genius and general intelligence of Zevon and it grew into a warm personal friendship. 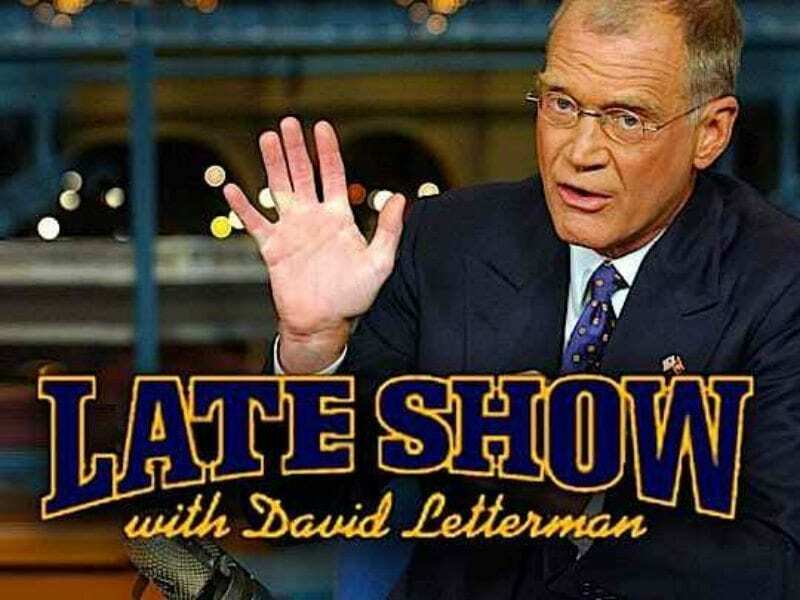 Letterman thought so highly of Zevon that when his musical director, Paul Schaffer took time off, he made him the musical director for the show. He cared so much for him that he dedicated the entire hour of his show on October 30, 2002 to Zevon, in what would prove to be Zevon’s last appearance on network television before succumbing to lung cancer. 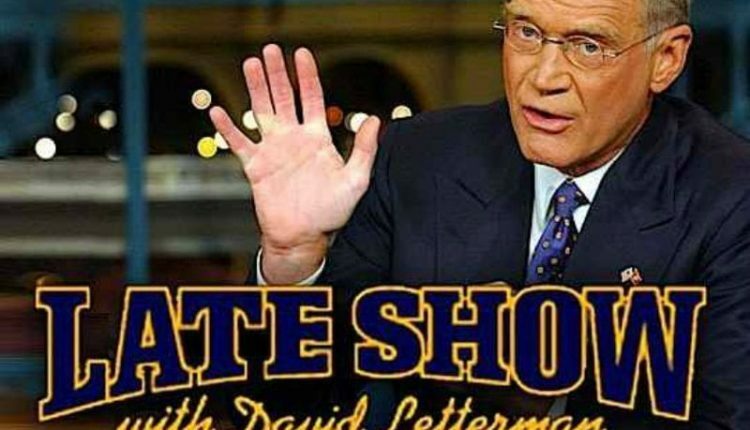 Above all else, Letterman is a big fan of music, as evidenced by his Live on Letterman: Music From the Late Show series of albums produced by the show. #10. Zevon sat in for Shaffer as music director on a couple of occasions. Letterman is giving Zevon some on the job training in this clip. #9. “Hit Somebody (The Hockey Song)”. From WZ’s last studio recording. Shaffer plays Letterman’s role in this version of a song about a Canadian farm boy looking to make it to the NHL as a goon. #8. “Mr. Bad Example” Pony-tailed Zevon delivering his trademark lyrical genius in this Letterman clip from 1993. #7. “Excitable Boy” and “The Overdraft” from Zevon’s first appearance with Letterman. He is championing Zevon right from the beginning. The interview piece shows how their sardonic wit jived. #5. “Boom Boom Mancini.” Being a boxing fan, this song re-introduced me to Zevon’s work outside of the FM radio staples. Tells the tragic story of professional boxer Ray “Boom Boom” Mancini. #4. “Porcelain Monkey.” This is a late-era Zevon song that would fit comfortably on “Excitable Boy”. Take note of Sid McGinnis completely making this song his own on the guitar. Shaffer’s bands are always a great compliment to whomever they are backing but when Zevon was on the show, they truly gelled. #3. “Splendid Isolation.” From a 1995 appearance. This clip also contains some interview footage showing their admiration for each other. Letterman goes fanboy. #2. “Roland the Headless Thompson Gunner.” My favorite Zevon song and his final ever public appearance. #1. “The Mutineer.” Letterman announcing Zevon’s death and his tribute to his good friend. He ends this piece with a clip from Zevon’s final appearance on the show a year earlier. Letterman had Zevon as his only guest on his October 30, 2002 show, describing Zevon as, “the real deal. He’s not one of these pretty faced, phony rock and roll guys, he’s the real deal — a poet and a singer and a songwriter. It doesn’t get any better.” Zevon, despite the dire prognosis of inoperable lung cancer, kept his typical cynical sense of humor, stating, “Dave is the best friend my music has ever had.” Letterman brought Zevon’s music to the masses, even when Zevon showed resistance. This appearance proved to be Zevon’s final public performance. You’d never know he was suffering from inoperable lung cancer from his performance and humor on this show. I highly recommend checking out the entire episode available on YouTube. It’s strange. It’s funny. It’s hearwarming. It’s pure Letterman and Zevon. Letterman may have retired, but his legacy to music on late night television will continue. Thanks, Dave.